i use this product after taking my make up off or when i get greasy in the T-zone. I always use a toner after I cleanse my face. I really like the fact that this particular product is alcohol free. I have sensitive skin and whenever I purchase a beauty product, I try to choose alcohol free products. This product does indeed leave my skin feeling much cleaner once I use it on my face. I literally will see the dirt and oil on my cotton balls that has been left behind that my daily facial cleaner did not remove. The only complaint that I have while using this product is I still notice my face still feels a bit oily after usage. I wish this product would remove the oil from my skin more thoroughly. This product is very easy to use and is a one step process. Use a cotton ball and pour a small amount of the timing product onto the cotton ball. Gently wipe over your entire face and your done. The scent of this product is very light and fresh smelling which I appreciate. This is a really good product if your looking for an oil free toner. I can't user toners or cleansers with alcohol - it dries out and irritates my skin. 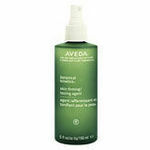 I do however prefer to finish my cleanse with a toner to keep the skin firm and the pores clean and clear. This product by Neutrogena works great for its purpose as well as to fit my standards and needs. You squirt a small amount of the liquid onto a cotton ball or pad and rub all over your face - the bottle has a spout to help control the liquid on its way out. The top snaps in securely and the blue bottle is see through enough to know how much of the product is in the bottle at all times. The toner leaves a cooling sensation, and then dries quickly. I tend to put moisturizer on after however I wouldn't necessarily say that it dries out my skin. My skin feels continuously soft after I am done so I feel as though its doing its job. I have searched through many different alcohol free toners/pore minimizes and so far this has been my favorite. The brand often has coupons available and it's easy to find in any drug or grocery store so I will likely continue with this. Love the smell and it doesn't burn! I tried numerous toners before finally settling on this one by Neutrogena. It smells clean and fresh, not like chemicals, and it doesn't burn my skin. I apply this every night after washing my face before bed. Another good thing about this toner is that it doesn't make your face feel tight or dry after using it. And it is also alcohol free which is another great feature! No Burn, No Sting, No Alcohol! For years, I was a loyal fan of Neutrogena Pore Refining Toner because my skin was extremely oily with visible pores. As I've gotten older, my skin is now less oily and a little more sensitive. I decided to look for a facial toner that didn't contain either alcohol or witch hazel--two ingredients that can cause skin damage. After trying several brands of toners (with varying results), I purchased a bottle of Neutrogena Alcohol-Free Toner. I was attracted to the fact that it is safe for sensitive skin. My only concern was whether or not I would get a thorough cleaning without alcohol or another astringent in the formula. Effectiveness Neutrogena Alcohol-Free Toner turned out to be as gentle as the label advertises, and it didn't sting or burn when I applied it to my freshly-washed skin. Unlike more astringent toners, Neutrogena didn't strip my skin or make it feel tight or dry. My skin didn't feel greasy or coated with residue either. Just soft, clean skin ready for my nightly serum. While I appreciate the gentleness of this Neutrogena toner, I do wish it were a touch stronger and contained antioxidants or some other skin-beneficial ingredients. Ease of Application I applied a little to a cotton pad, and swiped it across my face and near my eyes without any problem. I didn't seem to get as much leftover oil/makeup on the pad as I do with harsher formulas, but my skin certainly felt and looked clean and clear. Scent The liquid has barely any scent at all, which is a good thing in my opinion. This Neutrogena Alcohol Free Toner is one of those essential items in daily skin care for your face. It is gentle but effective enough to catch that last of your makeup or dirt or oil left on your face after washing it with a cleanser. I feel the price is good also, and a bottle lasts a pretty good amount of time. I like that is it alcohol free also, i feel applying alcohol to my face daily would be too harsh on my skin and cause irritation, specially on the sensitive areas on my face, such as around my nose and close to my eyes. ANd I need to clean around my nose as thats where dirt and oil can get clogged up. This does a great job of gently cleaning away any dirt left from the day. I also work in an inclosed, stuffy room daily and at the end of the day, my face just feels gross. This is nice to use when I get home, just apply to a cotton ball and sweep accross my face and I feel way cleaner and better. I like this alot. I just recently decided to finally switch facial toners. The one I had been using irritated my skin and dried it out way too much. The alcohol and everything else was too harsh for my sensitive skin. I looked for an 'Alcohol-Free' toner and Neutrogena was the first brand I found. This brand is usually pretty good and trustworthy, so I decided to try it out. I've been using it for about two weeks and really like it! It's much more gentle on my skin and doesn't burn or make my skin turn red and/or peel. I think it works just as well as any other toner and leaves your face feeling just as clean and fresh. It also smells light and fresh...not reeking of alcohol like most toners. There's nothing I dislike about the quality of the product, but I do wish it was a little less expensive. It costs more than the usual drugstore brands. It is cheaper than super pricey department store products, though. Overall, I'd say the few extra bucks is worth it. The best toner I've used. The neutrogena alcohol free toner is the best toner out there. Before using this product, I used to use an astringent which would still leave my face feeling extremely oily by lunch time. However, when I told this to my girlfriend, she recommended I use an alcohol free toner instead. She used to use this product and told me I would benefit from it and she was right. I've been using it for over a year now and my face rarely feels oily anymore like it used to. During a long day of outside work or after a long run and I use this product after a shower, I can still see the results even after I washed my face. However, it does dry up the areas around my nose a little but other than that, it doesn't really have any adverse effects. I don't know how much other toners are going for, but I would assume its relatively cheap compared to the other brands. However, it does the job and that's a big factor in my book. Neutrogena Toner helps keep the balance to healthy skin! Neutrogena Toner was the only toner I have ever tried and I will not have to try any other product because it works great! I have skin that gets oily very easily. Using this toner before I sleep everynight helps keep my skin healthy and balanced throughout most of the day. It is easy to apply and feels great on your skin. It does not dry you out (because it is alcohol free) and simply leaves you feeling like you have deserved to have this purely, clean face after a long hard day of work. If you need that extra umph to get your skin to healthy - use the Neutrogena toner. The bottle lasts forever and its really well priced. I have asked my friends who have used other toners before and they all have ended up throwing their bottles away because the alcohol in the toner tried their face until it cracked and hurt :(. I used my entire bottle of toner (over many many months) and I never had this issue. It was a great buy and I will (and have) bought it again. Good luck! 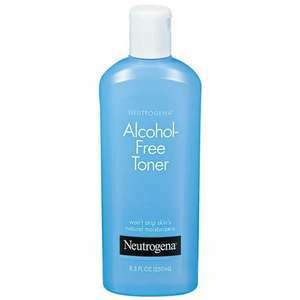 Neutrogena Alcohol Free toner is one of the best toners that i have ever used. I love that it's alcohol - free, so it's really good for any type of skin, especially oily skin. I have super sensitive combination skin, and my T- zone is very oily, but other parts of face super dry. So this Neutrogena Alcohol free toner is perfect for me. I use this toner after Neutrogena Fresh Foaming Cleanser and these two does the job right. This Neutrogena Alcohol free toner does not dry my skin, and after cleaning my skin does not have any burning feeling like it does when i use other toners. So that's why i've been using for quite a long time and never had any problems with my face skin. So i use it in the morning and at night time, also after my work-outs, or if i need to freshen up at work i would just use this Neutrogena Oil free toner and reapply make up. Overall it's the best toner on the market. 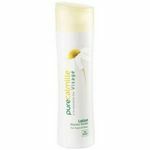 Price is great, toner does not smell bad, and best part- does not dry my skin and cleans it very well. Yes i would recommend it to everybody.